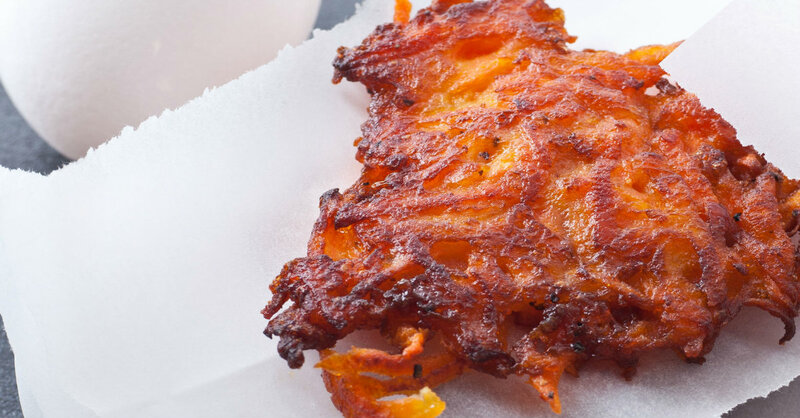 Regular Fritters Are So Yesterday – These Sweet Potato Fritters Are Where It’s At! In this case, it’s these savory sweet potato fritters; they’re packed with yummy flavor and they’ve got the perfect touch of sweetness to them! Our love of fritters isn’t anything new, but it was our first time swapping out the traditional potato for it’s orange-ish red counterpart and boy, are we glad we did! If you need something to serve up with some eggs, or want a deliciously light meal for lunch or dinner, this recipe will knock your socks off! In a large Dutch oven or heavy-bottomed skillet, heat 1/8-inch vegetable oil over medium high heat until shimmering (but not smoking). Note: oil should sizzle when you drop a few shreds of sweet potato in. Remove to a paper towel-lined plate to drain and serve immediately.